We appreciate the role of effective communication in helping accomplish desirable results. We would like to listen to our client’s needs and requirements so as to come up with reliable services that match their specific needs. All our clients deserve the best; something we have always believed in as a company and that’s why we provide high quality yet affordable electrical services. For more information on our area-specific services, please do not hesitate to go through our area pages. To request for a price quotation on the services that we offer, you can use the contact form option here to ask for additional information. 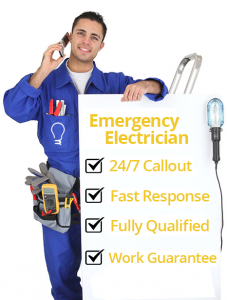 We provide flexible services, including prompt responses to all your emergency electrical needs. You only need to call us and our callout team will be on their way to where you need us. Leave your number behind for a timely call-back and we’ll get in touch with your within a short time (usually within a 24-hour time frame). Contact our licensed electrical contractors today on 087 551 0613 and we will offer the most effective and affordable solutions to all the electrical issues that you may have.